We’re stuck in January, and Efteling news seems to be a little slow. So here’s a little injection of happiness for you all, thanks to a handful of Efteling characters. So we bought some shampoo from Efteling’s web shop. It was so good, we’ve actually bought it more than once! Last time, we even bought some shower gel too. You can get 2 shampoos, and 2 showers gels, which seem to be tailored to both boys and girls. For the boys, Dragon shampoo and Wolf shower gel; for the girls, Cinderella shampoo and Red Riding Hood shower gel. They smell great, are free from too many nasty ingredients, and are priced nicely at 2.50. 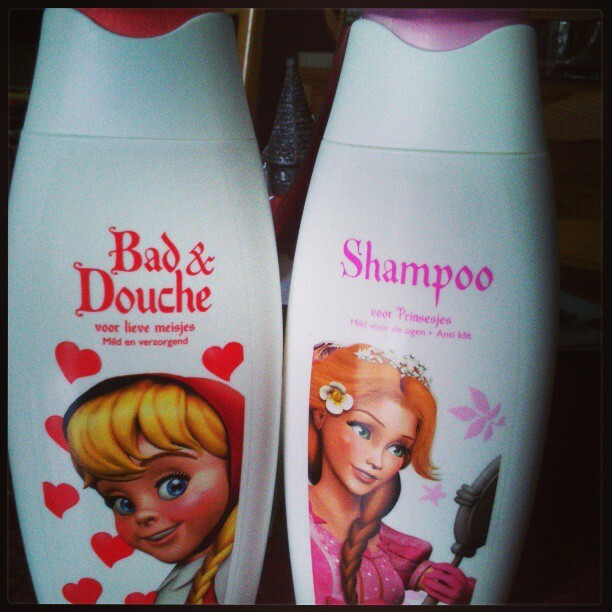 The Cinderella shampoo smells a lot like a berry yoghurt and the Dragon one smells a little like apples. We aren’t sure of the connection between the smells and the characters, but presumably nobody would come near you if you smelt like fire instead of apples! We give these products 5 Pardoes! 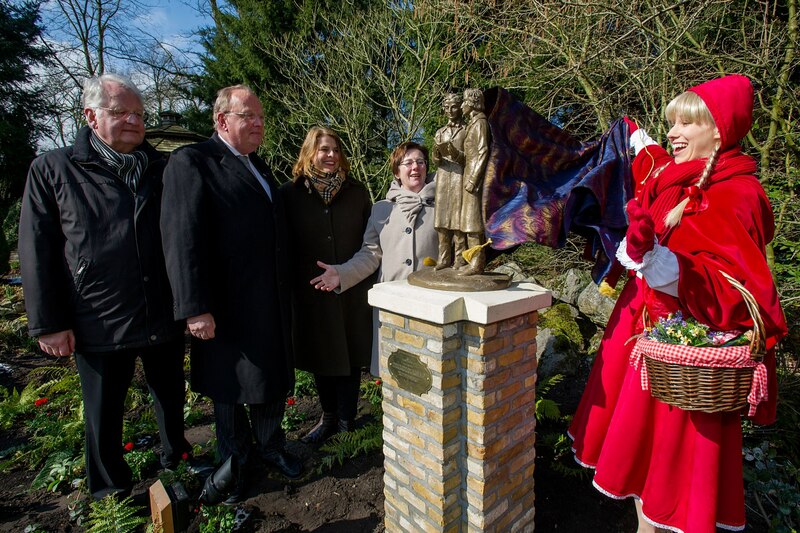 Brothers Grimm Statue Unveiled+ 200,000th Pancake is Made at Polle’s Keuken! Today was the day! 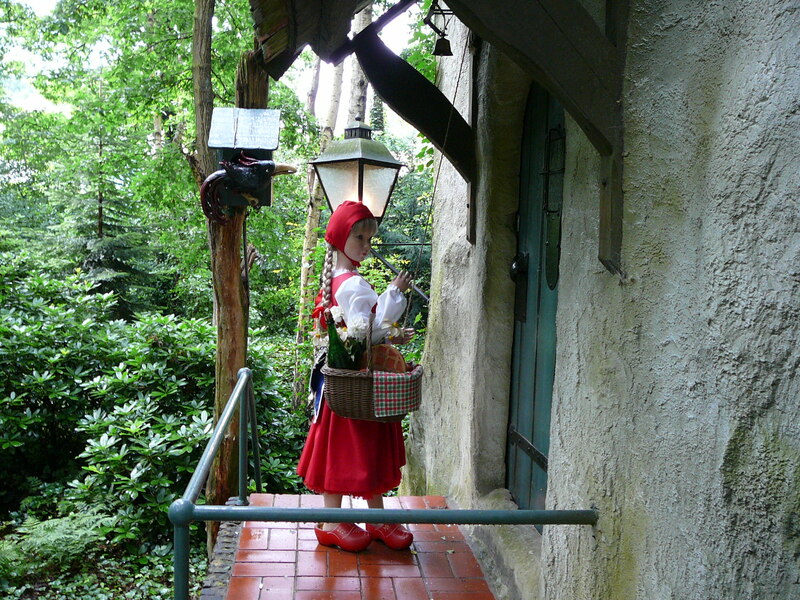 A statue to commemorate the brothers Grimm was unveiled by Little Red Riding Hood in Efteling. We believe it to be situated near the other statues, next to the Chinese Nightingale building. Last December marked 200 years of Grimm fairy tales, and with 15 of the 28 fairy tales in the forest at Efteling being Grimm stories, it is of course a perfect choice to have the statue there! 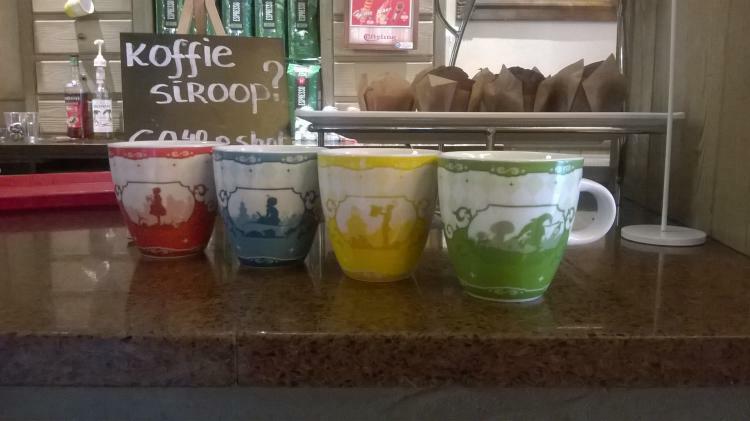 The photo comes from Efteling’s Facebook page, but we hope to see some better photos popping up in the near future. In other news, pancakes! If you come here often, you will know how much we love to talk about pancakes, and today is one of those days. Apparently yesterday marked the birth of the 200,000th pancake at Polle’s Keuken. Now, that does seem to be an awful lot of pancakes, but don’t shoot the messenger; n fact, that works out to almost 548 pancakes a day…Looks like we aren’t the only ones who love a good pancake after all! 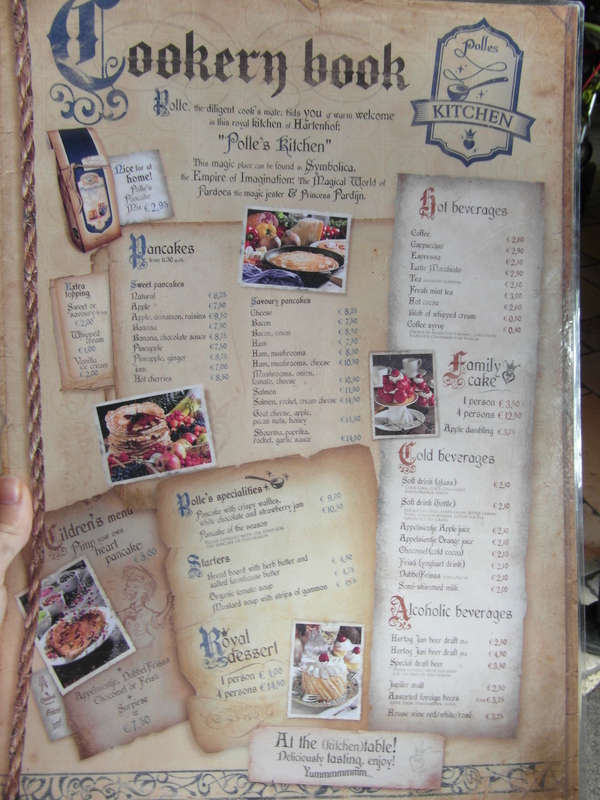 Thinking about visiting Polle’s Keuken? Take a look at the menu below, just give it a click! 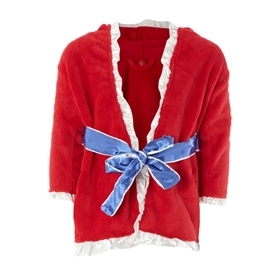 This is a short review of the adult Red Riding Hood Bathrobe from the Efteling Web Shop. Let me start by saying that this is more of a dressing gown than a bathrobe, because the material wouldn’t really absorb much water; it is very soft and fluffy, though. You can get children’s robes and adults robes, they are exactly the same. There is also a Dragon robe available. They come in a strong zipped plastic bag with handles, which is cute. When ours arrived, some of the white frill material from around the hood was hanging off, but it was nothing a couple of stitches couldn’t fix. During wearing the robe I have also noticed that the blue sash is coming away a bit at the edges. On the up side, however, it is very warm, and the hood is big. Like, you could probably fit 2 heads in there, if you had 2 heads…It also has a little loop in the neck so that you can hang it up. It is longer than it looks in the photo that is on the site, and comes almost to knee-length on a person of average height. All in all, not too bad for €24.99. We give it 3 Pardoes! We’d heard about this a long time ago now, but didn’t want to share it until we remembered where we’d read it! In honesty, it was on Wikipedia, and we know to take that info with a pinch of salt, but we want to tell you about it anyway!